Three witches. A prophecy. Murder. A lust for power. 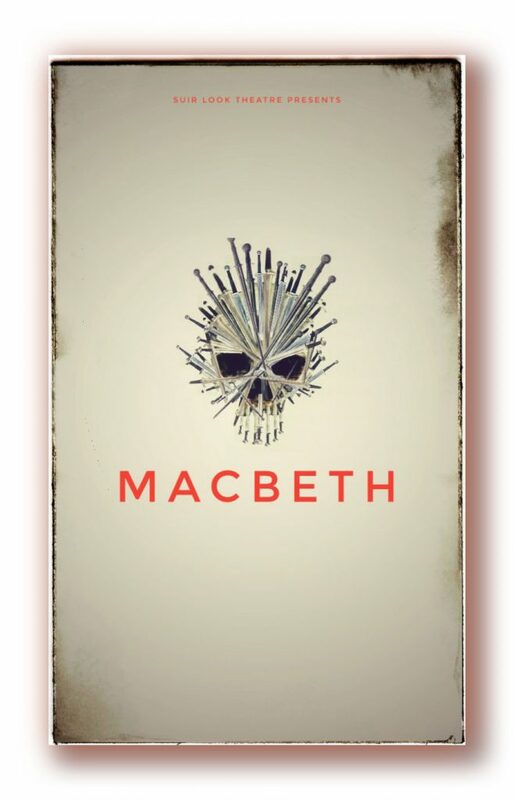 ‘The Tragedy of Macbeth’ is a bloody tale that has echoed through theatres the world over, the story of a man destined to be king, but at a terrible cost; both to those around him, and himself. As the mist clears on a field of battle, three sisters’ prophesies that Macbeth, Thane of Glamis, shall be king; a divination that he does not believe until the words of the sisters begin to show truth. Driven by his and his wife’s desire for the crown, he begins a bloody and murderous crusade, not only to claim the throne, but to keep it. Suir Look Theatre proudly presents their debut production and invites you to join them on their “maiden voyage”, believing there to be no better place to begin than with such an epic tale, by the Bard himself. Having studied Shakespeare like so many in the past, it has been their ambition since before Suir Look was founded to bring the “Scottish Play” to a Waterford theatre. Utilising some of Waterford’s finest actors and crew to tell this dark tale, it shall “Suir-ly” be a night at the theatre you won’t soon forget.